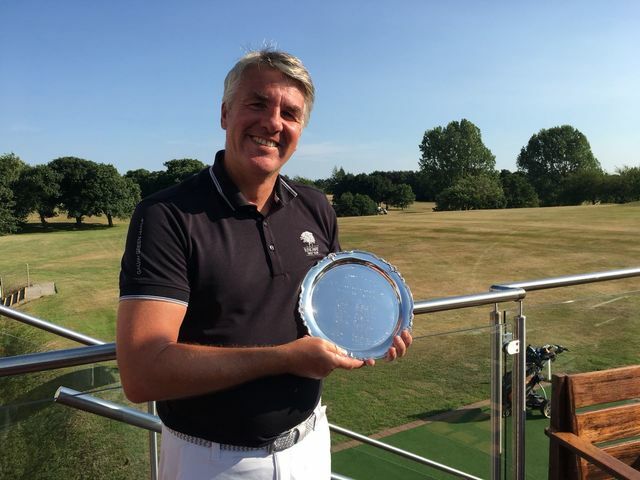 Martyn Grimley - Cheshire Senior’s Champion 2018! A first round 74 on Wednesday saw Martyn lie a shot behind our very own Tim Daggett (73) at the top of the leaderboard. Martyn and Tim played together In the second round and whilst Tim couldn’t repeat his first round endeavours, Martyn did and his 74 to give a 36 hole total of 148 was good enough for a 1 shot victory over Cheshire stalwart and ex County champion; Gareth Bradley of Bramhall (76-73). An elite field assembled at Bromborough including senior England international Dave Nelson from Northenden and ex England seniors champion Roy Smethurst from Crewe. In his first year as a senior, Martyn has already represented the county and this victory will doubtless solidify his presence in that team! Well done Martyn and to all RGC competitors at Bromborough; Tim Daggett, Ron Harrison, Rick Walmsley and Roger Fielding.